I never dreamed I would be peeling my face. A few years ago, I never even heard of facial peels, and now I've tried several different kinds, from fruit acids to the strong stuff. 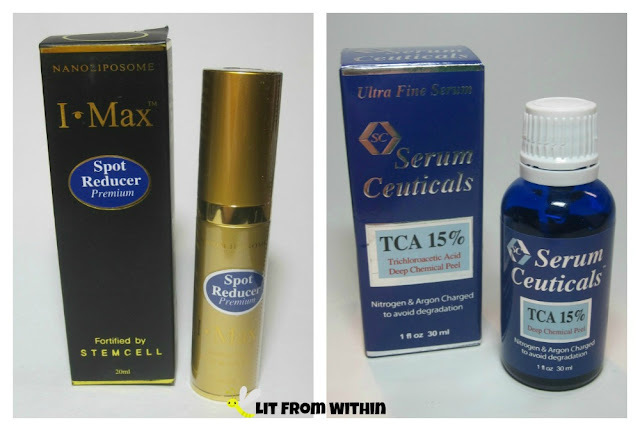 I had the opportunity to try Max Life's I-Max Spot Reducer and pair it with their TCA 15% peel for some serious skincare stuff! Sometimes, a product ticks all the boxes that you look for in skincare, and it works great. And sometimes, it ticks the boxes, and for some reason, it just doesn't work for me. I tried two products from New York Biology as part of my skincare routine last month, and both things happened to me! It's been a while since I've had the chance to review anything from Instanatural, and now they're all grown up! Sleek new packaging and graphics, and new formulas that my oily skin is just loving. I've been starting my cleansing skincare routine with just two of their new products, but they do so much, it's like I'm using more! Some days I want a matte look, some days dewy, but never do I want my oily skin to look greasy or shiny. I do, however, want to SHINE, with my new brightening face oil from Amalie Beauty. I'm not sure if the Adventures In Stamping group is ever going to get back to the Sunday Challenge. 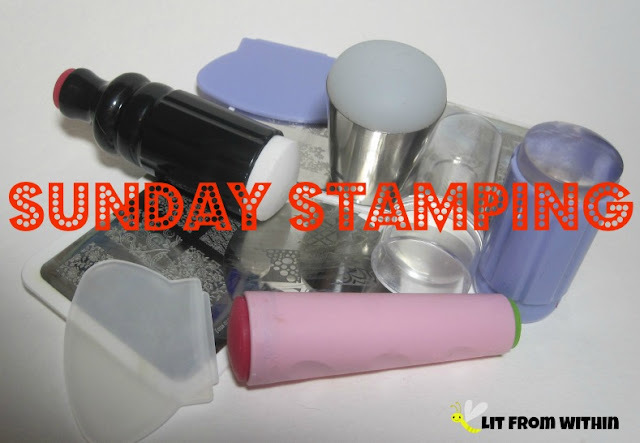 I'm ever hopeful, but I decided that I didn't want to give up my Stamping Sundays any longer. My Life Is Bad For My Eyes. Thank Goodness for #Exuviance ! It's summer, so many of us are traveling. Have you packed your bags? Not those - the ones under your eyes. Yes, I take them everywhere I go, too. But my bags are lighter, tighter, and smoother with this nifty roller de-puffing eye serum from Exuviance! How do you feel about getting older? I'm proud of every birthday - it's another year I managed to keep myself on the right side of the dirt. On the other hand, I don't necessarily want to act - or look - my age. I definitely keep my inner child alive and well, and while I won't let the threat of wrinkles keep me from laughing, I wouldn't mind keeping my smile lines and crinkly eye crowsfeet to a minimum! It's been awhile since we've done a 'Something Different Saturday!' I love getting to try new and interesting things that could make my life better, more interesting, or more fun. Today's product is a new twist on a childhood memory! I've been slacking a bit on the NCC Challenges, I'm afraid. 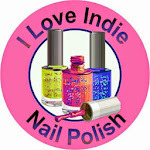 I'm half-assing it a little bit today, too, by pulling a mani from the vault that fits this month's challenge. I'm calling it a win, though, because I do like this mani, and I rarely wear yellow on its own. Long-time readers will know that I do love checking out serums. I love trying new formulations, small brands - big brands - lots of different serums. There are a few ingredients that I just keep coming back to, because I know that my skin looks and feels better when I use them - and Retinol is definitely one of the stars of my skincare routine! I don't know how it got started for me, but last year, I decided to wear a fun red, white, and blue-themed makeup and nails look for my friend's 4th of July party, and this year, I decided to do it again. More powerful than one type of Vitamin C, fast enough to show almost immediate results, able to catch and neutralize free radicals! Is it a bird? A plane? It's Superman, Super Vitamin C! I remember, when I was a young girl, watching my mom curl her eyelashes, and then trying to imitate her. I didn't know what I was doing, and I'd always pinch myself. I never did get the hang of eyelash curlers, so I just really haven't ever used them. I don't know why, but I thought using a heated one might make a difference.